Sometimes rankings don’t tell the whole story. Based on rankings, No. 1 Stanford men’s swim and dive should have demolished No. 2 Cal. Based on rankings, Stanford should have won their third consecutive Pac-12 Championship. This time around, the Bears wrote the story. 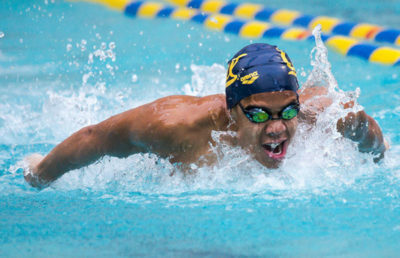 Cal made a statement last week, winning 11 of 18 swimming events — including four of five relays — en route to its first Pac-12 Championship since 2014. The Pac-12 Swimmer of the Meet award reunited with a familiar face in junior Andrew Seliskar, who won the honors as a freshman in 2016. Seliskar wrote his name all over the Pac-12 record books, taking apart previous 400 IM and 200 breast championship records. To cap it off, he also swam legs in two winning relays. “Even though we were up here competing as a group of swimmers, really our divers set the table for us last week by doing a great job on all three levels, and that just really inspired us to come out this week and get the job done over the last three and a half days,” said Cal head coach Dave Durden. After the men’s diving portion last week, Cal was in third place. The Bears were catapulted into second place overall after two blazing relay swims in the 200 medley and 800 free to kick off the week. Their two winning times were good for the third- and fourth-fastest time in the country this season. It only took halfway through the second day of competition for the Bears to rise to the top. Half of the swimmers lined up on the block in the 50 free finals donned the blue and gold, with senior Justin Lynch winning the sprint in 19.00 flat. Sophomores Pawel Sendyk and Michael Jensen took third and fifth, with freshman Ryan Hoffer rounding out Cal at sixth. After the 50 free, the Bears were in first place and would not relinquish their coveted position. The very next event — the 200 free relay — saw that same quartet team up to touch first in 1:15.78, the third-fastest swim in the country this year. 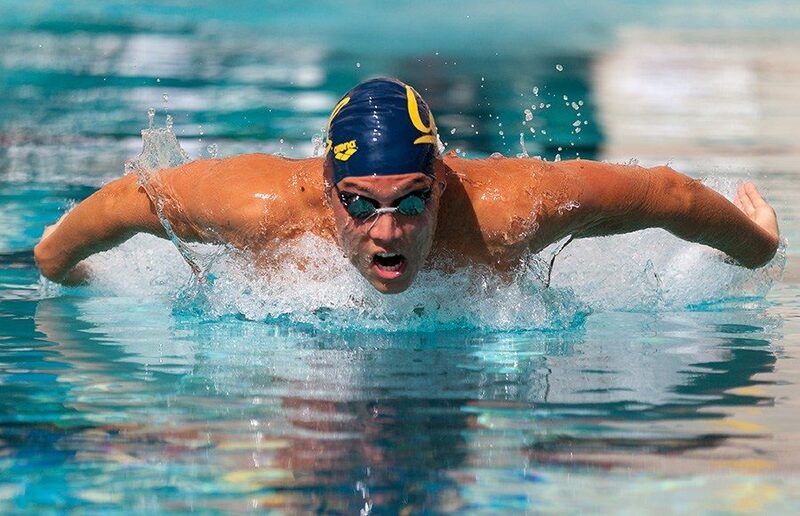 Cal junior Nick Norman became the Bears’ first Pac-12 champion in the 1650 free, swimming an NCAA “A” time of 14:39.77. Freshman Sean Grieshop followed Norman to place second in front of six Stanford distance swimmers, a group that has constantly finished in front of Cal in previous meets. 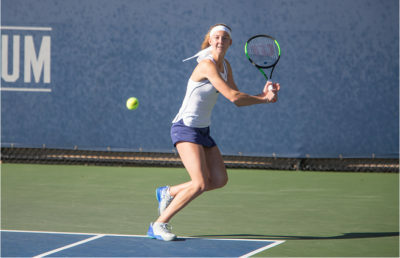 For a Cal squad that has its sights set on the big prize in late March, the Pac-12 Championship was a great time to get the butterflies out of their stomachs. As the swimmers are riding a high, two Cal divers make their way to high-altitude Flagstaff, Arizona, for the NCAA Zone E Championships this week. Sophomore Connor Callahan and freshman Johnny Robinson will try to punch their tickets to the NCAA championships. Robinson’s debut at this competition will come at a familiar location. The Bears competed at Flagstaff in November, when Robinson qualified for the Zones competition, and they also spent the beginning of January training in the same thin air. He will compete in the 3-meter and platform. Callahan’s first Zones competition last year was a successful one, with his seventh place finish in the 1-meter netting him a trip to the NCAA championships. In his second go-around, he is tabbed for all three events.